Self Cure Remedy details of Take onion soup for the care and relief of Cough, including effectiveness and popularity scores of the remedy. 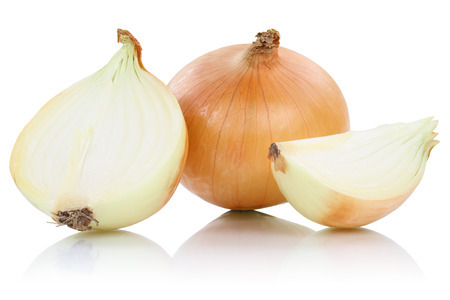 Onion strengthens the immune system, work as natural anti-biotics, anti-inflammatories, and contains expectorants that loosen up mucus so you can cough it up. It works like garlic but in a milder form, makes it more suitable for small children. Chop one large onion to quarter size pieces and add to 2 cups of boiling water. Reduce heat and let it simmer for 15 minutes. Strain, wait for it to cool down a little and drink. Onion might slow blood clotting and lower blood sugar. Use caution if you have bleeding or blood sugar related conditions. Stop taking high dose of onion (i.e., as a medicine) at least two weeks before a scheduled surgery. The self cure remedy of Take onion soup for the care and relief of Cough has an effectiveness score of 3.2 and a popularity score of 58 on the self-cure system.